If you’re anything like us, when packing for a vacation you carefully stash as many bottles of wine into your suitcase as possible. So when I started planning a cruise trip, I had a harsh reality check. That’s because most cruise ships severely limit the amount of booze you can bring. What’s a wine lover to do?! One option is to get all Pablo Escobar and start taping bottles to your body. Probably not smart. 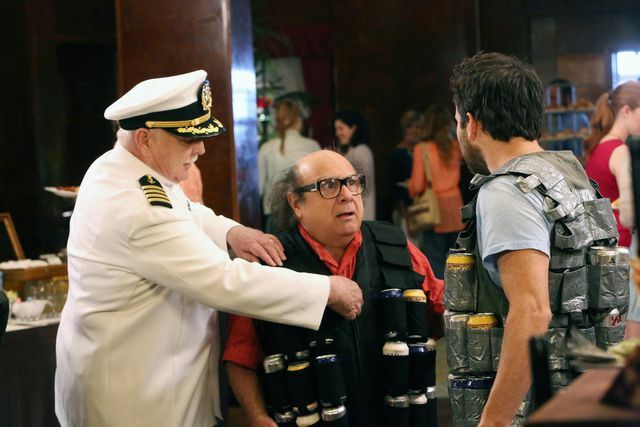 Smuggling booze onto a cruise ship is probably not the best idea. First of all, we don’t think you should even try to smuggle any precious bottles on board. The X-ray machine will spot them and you’ll be a sad cruiser if they tell you to leave them on land. Worse, they’ll just confiscate it and you might never see that precious bottle again. The reason why cruise lines limit the amount of alcohol you can bring on board is pretty simple. People really like drinking on a boat. The average person consumes 8x their normal daily intake of booze on a cruise. That big spike translates to big money. It is also a question of liability. When alcohol is purchased onboard it is more easily monitored and tracked. By some estimates, Carnival Cruise lines makes upwards of $500k per WEEK on alcoholic drinks. That’s $500 million a year! If you come back to square one, don’t worry. A more realistic option might be to find some ships catering to the discriminating wine lover. How much can you bring on board? The cheapest and most reliable option is obviously to bring your own. How much though? The short answer: not very much. 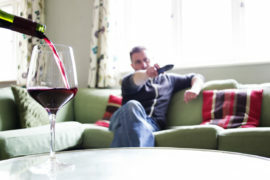 If you want to bring some wine with you, better check the rules of each major carrier or connect with a travel consultant before booking your trip. Some let you bring a few bottles, others charge corkage fees, and some ships don’t allow ANY alcohol on board. On average though, per cabin, it seems pretty common to allow guests up to 2 bottles of wine. You’re on a ship. Next stop? The bar of course. As the number of people looking for great wine continues rising, the cruise industry has taken note of the growing need to accommodate wine lovers. 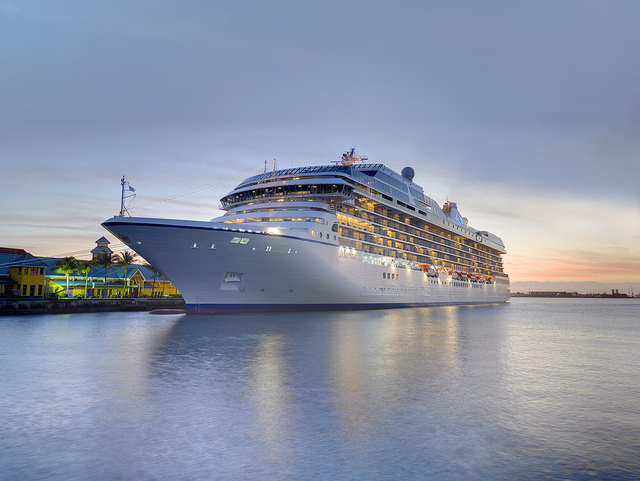 Cruise lines have started adding wine bars, wine tasting courses and more wine-related shore excursions while in port. Once you deplete your personal wine rations you’ll need to find some options on board. You won’t have a problem finding a house red or white on any ship, but what if you want some Bordeaux Grand Cru Classe? Some ships have much better stocked bars than others. We consulted our friends at CruCon to get some recommendations on the best options. Oceania is the clear winner if you’re really, really into wine. 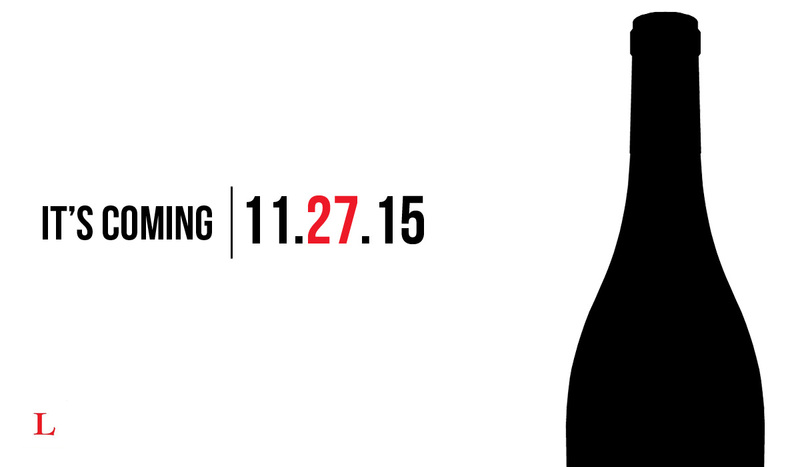 Like, you got a cellar full of DRC and Screaming Eagle into wine. They partnered with Wine Spectator to bring a quality wine experience for the connoisseur, offering wine seminars and vintage tastings along with gourmet wine pairing dinners with seriously delicious meals made by Master Chef, Jacques Pepin. Just check out the sample menu and try not to drool on yourself. Just note, only the Marina and Riviera ships have La Reserve restaurant and wine bar. 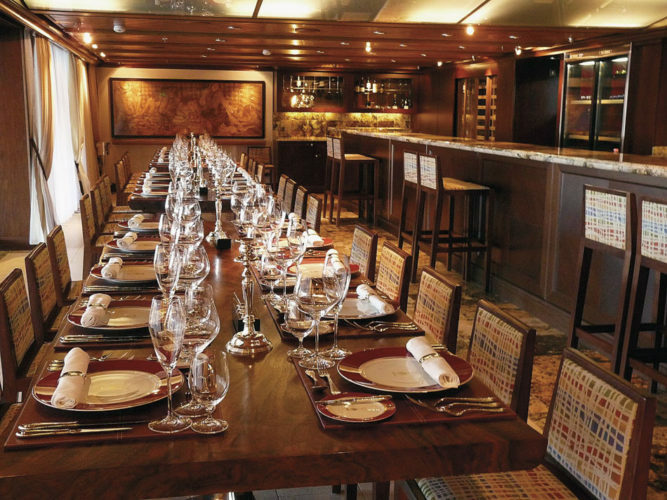 However, all their ships have a strong focus on fine dining, with restaurants like Toscana that has a modest but well appointed wine list of Italian reds and whites, so you’ll have plenty of good options for wine. The Crystal sommeliers travel every year to a summit to sample some of the greatest wines in the world. Their vast knowledge helps them advise guests on the best wines for their individual tastes. With a great and rare variety of bottles from regions like Spain, Italy, France, and Napa Valley, guests onboard have the opportunity to try some of the best wines from around the world. Celebrity offers approximately 400 different types of wine onboard from all around the world. 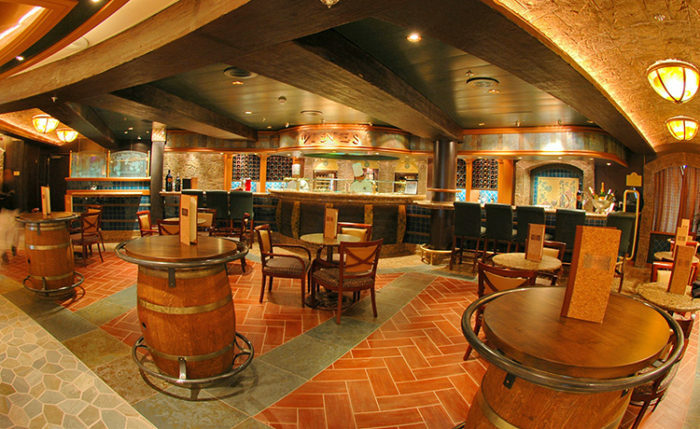 They also have a dedicated wine bar, Cellar Masters, which offers an amazing variety of wine for passengers. 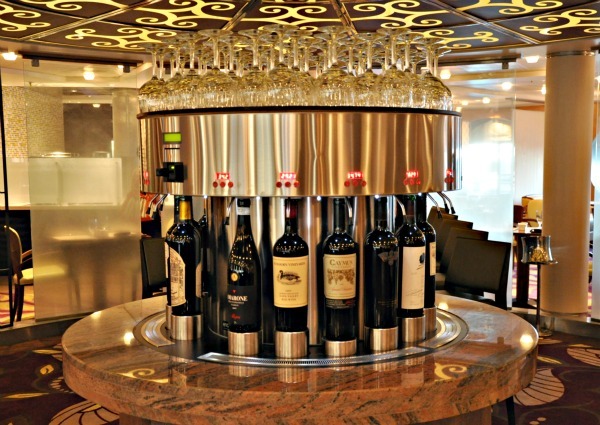 If you are planning to go on a Solstice Class ship, be sure to check out the 2 story wine tower, which features 1,800 bottles of wine at perfect serving temperature. This chic champagne bar has everything you want to escape reality. Decked out in a calm, cream color, with hundreds of hand-blown glowing glass bubbles and a nice selection of wine and bubbly by the glass, you’ll feel like you’re in the middle of a glass of champagne. 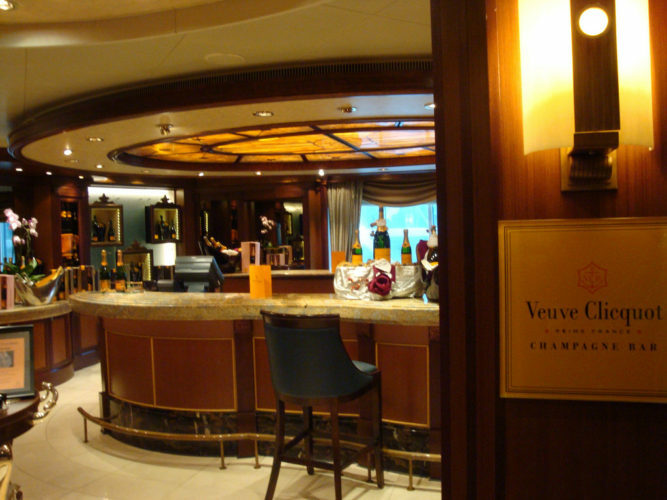 This bar is found on all of Princess’ Grand and Royal-class ships. They offer a great selection of reds, white and sparklers, along with small bites to enjoy. The actual wine list can vary between ships, but you should expect a wide selection of wines from around the world. Found on the MSC Divina ship, this quaint little Italian-inspired restaurant has some incredible tapas and pizza to accompany a great wine list. They also offer a “Winemakers Experience” where guests can blend their own wine to take home as a souvenir. 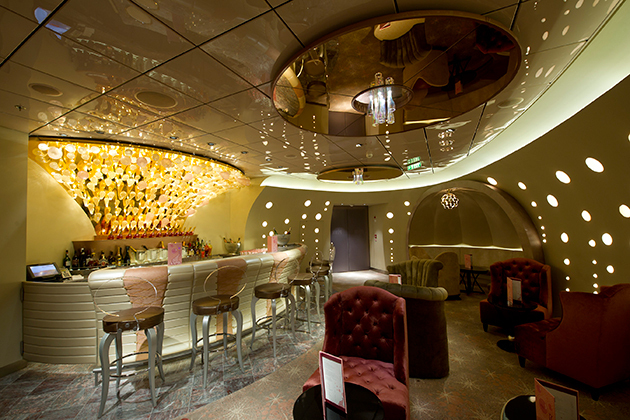 This bar is found on the Queen Mary 2 and Queen Victoria ships and takes a cue from the roaring twenties, serving up expensive champagne in opulent Waterford crystal glasses. Aside from the namesake Veuve Cliquot, guests can enjoy plenty of other high end bubbles and wines along with small bites of caviar and hors d’oeuvres. Norwegian recently partnered with Michael Mondavi to create a truly unique experience onboard their newest ship, the Norwegian Escape. 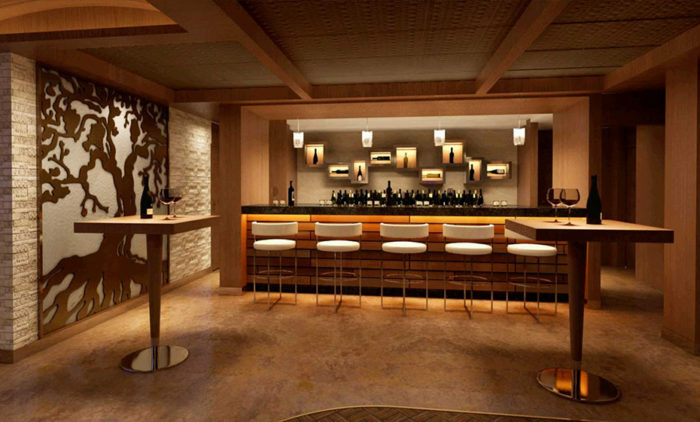 While in the Cellar Bar, sample some of their amazing wines in a truly immersive experience. Each night, check your nightly newsletter, The Freestyle Daily to see what wine-based events will be held the next day. Learn about which wines to pair with certain meats and about pairing wine with chocolate. 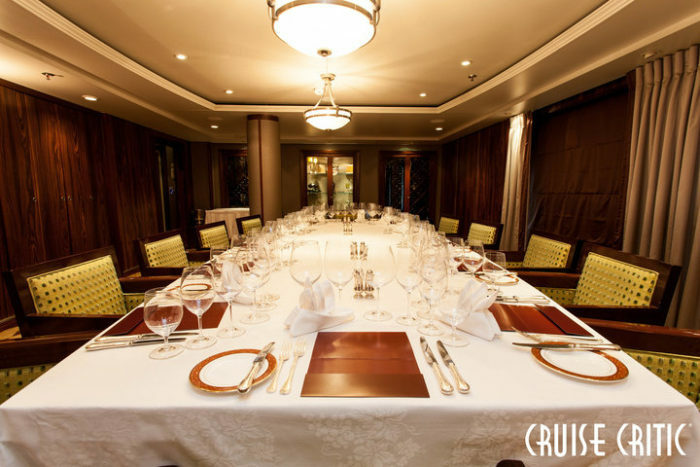 As you might expect, other cruise lines offer wine themed events offered on board such as wine tasting, wine blending, and wine pairing. Celebrity Cruises has over 3,500 sommeliers across their fleet of ships, with 200 certified sommeliers on each ship. Yes, you read that right. And these aren’t just some schmucks pulled off the street. These are well-trained experts in wine. These sommeliers lead various classes, like “BlendtiqueTM” classes where passengers learn how to make and bottle a wine onboard. 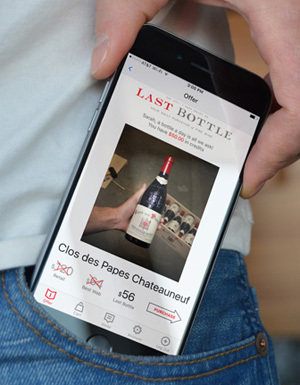 Passengers can have the option to make personalized wine labels that can be sent to family and friends by mail order. They also have a dedicated wine bar, Cellar Masters. Celebrity has received over 39 Awards and Excellence from the Wine Spectator Restaurant Wine List Awards over the past 4 years. 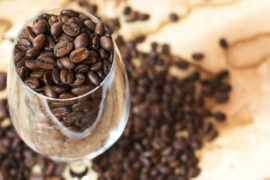 Most cruise lines offer wine-themed events onboard such as wine tastings, wine blending and wine pairing, especially in wine-making regions such as the California Coast, Italy, Spain, France, and New Zealand. If you are looking to experience new wines and learn about their process, cruising can truly be one of the best vacations for you. Hopefully this guide helps you find the best cruise option. While we might specialize in daily wine deals, we have zero connections in the cruise industry. For that we recommend using a website like CruCon to find the best deals on cruises. Wine tasting makes you wicked smart. Here’s the scientific proof!